The CARPE 30 from ORBEA is one of the sweetest flat bar road bikes around. It’s lovely and simple with a single front chain ring and deep V rims. The colour options are very stylish, available in green/red and beige/blue. ORBEA’s bikes are all made in Spain and the frame geometry is exquisite, they are a very boutique bike brand over here but people who know them swear by them. We love the CARPE 30 because it comes together as an electric model wonderfully with our tube battery kits. We have a special black front mini-motor with a deep V rim made specially for this model. 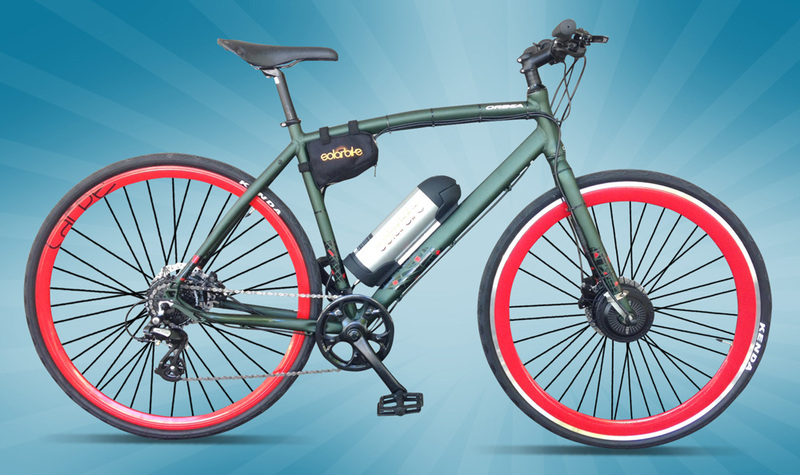 With pedal power to the rear wheel and motor power to the front this is definitely a commuting bicycle you should test ride.